Photos courtesy of Mike Rougeux. 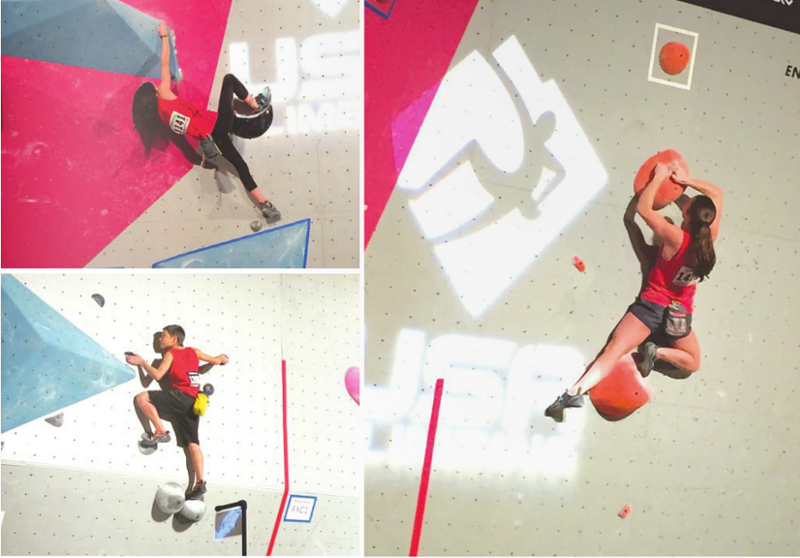 Brady Pfeiffer, Mila Capicchioni and Leah Pfeiffer compete at the USA Climbing Youth Bouldering National Championships in Wisconsin. Youth rock climbers from Bend Endurance Academy (BEA) took their skills to the national level this past weekend, participating in the USA Climbing Youth Bouldering National Championships held in Madison, Wis.
Leah Pfeiffer, 14, Brady Pfeiffer, 12, and Mira Capicchioni, 10, all representing the Bend Endurance Academy Climbing Team, competed in the three-day bouldering event in which the climbers attempted to navigate their way through climbs that were created to test coordination, strength, and problem solving skills. "The competition was so tight. The little things made a big difference," shares Leah Pfeiffer. The competition had an "on sight" format, meaning climbers were not permitted to see the routes ("problems") before they attempted to climb them nor were they allowed to watch other competitors. 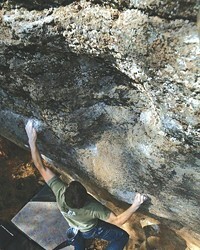 Similar to most bouldering competitions, competitors were given four minutes to attempt to reach the top of a problem. 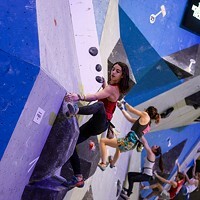 The winner of each category passed through a qualifying round, semi-final round and finished the finals round by having climbed highest along three problems in the fewest number of attempts. 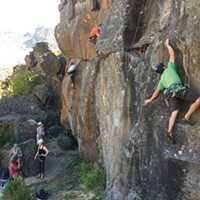 Securing a spot at Nationals was dependent upon each climber advancing through regional (Oregon, Eastern Washington, and Alaska) and divisional (Oregon, Washington, Alaska) competitions that were held throughout a four-month climbing competition season. 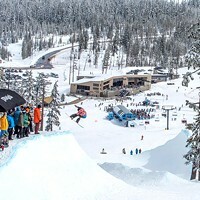 Nationals is a major event and for the past six years the competition has been held in big city auditoriums and convention centers on large competition walls that are built specifically for the event. Commercial climbing gyms are too small to host 500 of the country's best youth climbers along with their coaches, parents and spectators. "It's a lot different than climbing and competing in a gym. There are spotlights on you, an MC announcing your name and a crowd of hundreds watching," explains BEA's climbing program director and coach, Mike Rougeux. 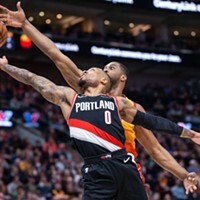 "I was nervous in front of the crowd," says Capicchioni, but adds, "I really enjoyed meeting so many people and I would like to be able to go back next year." Confident in the abilities of his athletes, but also aware that the national competition is an unfamiliar competitive environment for his climbers, Rougeux emphasizes experience over results. "With this being their first nationals, the overall goal for all three climbers was to have fun and get some experience under their belts competing in that type of event and in that type of environment," Rougeux says. "I'll probably stay with BEA till I'm 19 and hopefully more kids will go to nationals next year," Leah Pfeiffer says. Through BEA's climbing competition team, young athletes get a chance to compete against the best of their peers at the local, regional, divisional, and national levels, and encourage teammates, too. 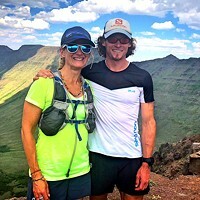 "Once you have a couple of kids make it to that level, their teammates see that it's possible and see what type of work they need to put into it to make it happen for themselves," says Rougeux. This year's Youth Bouldering National Championships was the first national event for all three of the Bend climbers, but likely not the last for them nor the Bend Endurance Academy. 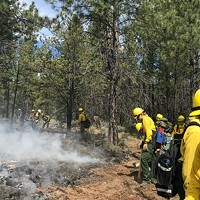 The BEA has been training Bend's youth climbers for years and has developed exceptional programs that encourage young climbers to pursue their love of climbing, including competitive climbing.